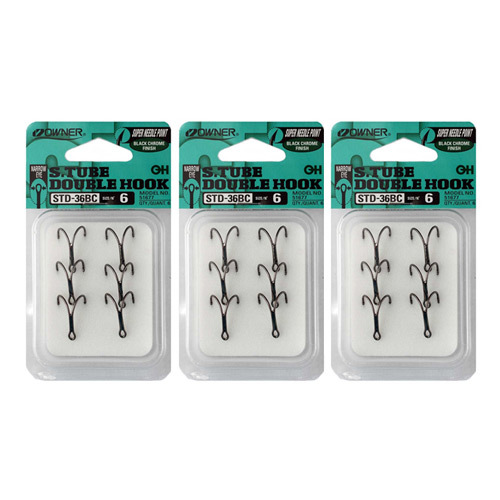 Owner Stinger Salmon Double hooks Owner have devoted nearly two decades of effort in developing a range of high quality, high performance fish hooks that are second to none in popularity among anglers. These hooks are legendary! Owner Stinger Tube Double Hooks are without question the best tube double hooks on the market for salmon. Ultra sharpness for instant hook-ups and super strong. Owner hooks go in and stay in. Guaranteed.